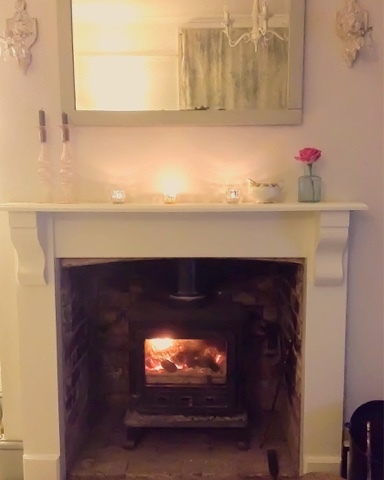 Just a quick share of my freshly painted fire surround and vintage mirror. This fire surround has been so many colours, I love how a quick coat of paint and POW- instant room change. I also found this old mirror on our landing (I really don't know what I have in my house), and gave it a quick coat of F & B mizzle, my new favourite colour for spring. Thank you for your lovely comment on my new blog! Thank you. For following, I make a private page, where the blogs are listed, and where I can click on them. But each blogger is different.